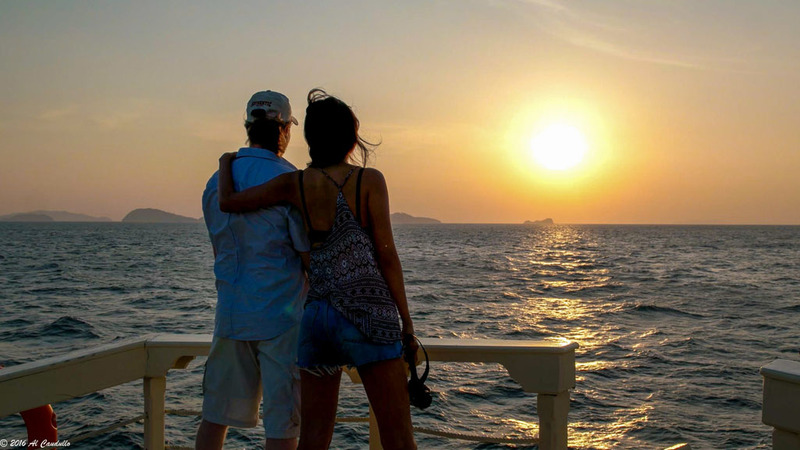 The adventure will begin as our guide meets you at the Kawthaung Airport, Ranong Airport or the Ranong Pier and get you all checked in and ensure that you are all set for the adventure that lies ahead. 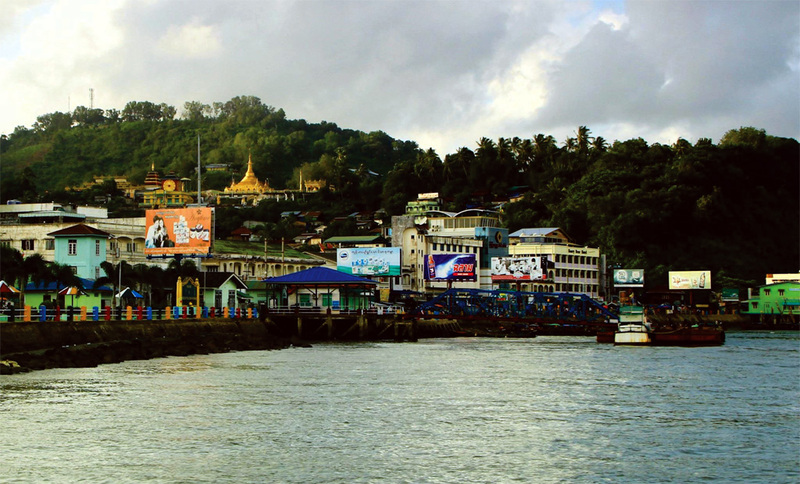 MV Sea Gipsy and her crew will be awaiting your arrival at Kawthaung Jetty. 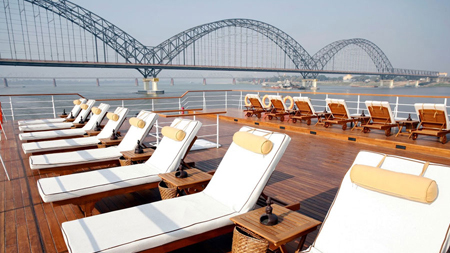 If there is time before your departure on the Sea Gispy, you will have the opportunity to experience the uniqueness of the Kawthaung seaport. Here you will be treated to diverse sidewalk shops with wares that you will not find anywhere else in the world. 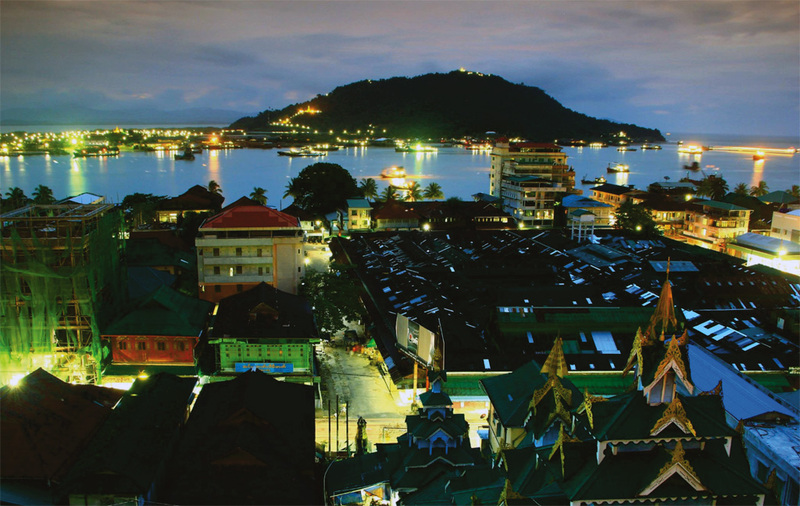 Once you’ve experienced the authenticity of the seaport shops, grab your camera and take snapshots of the statue of King Bayint Naung, the Pyi Daw Aye Pagoda and the scenic vistas of the winding river which leads to Ranong, Thailand. 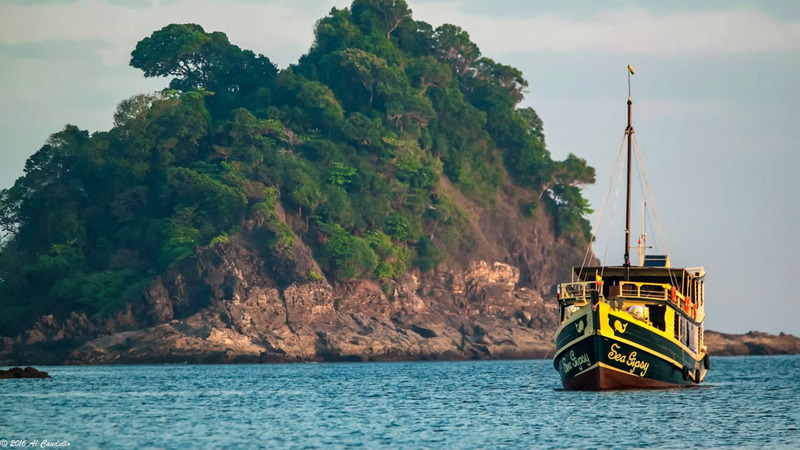 As you depart from Kawthaung, smooth seas will whisk you away to the adventure and beauty of the Mergui Archipelago. 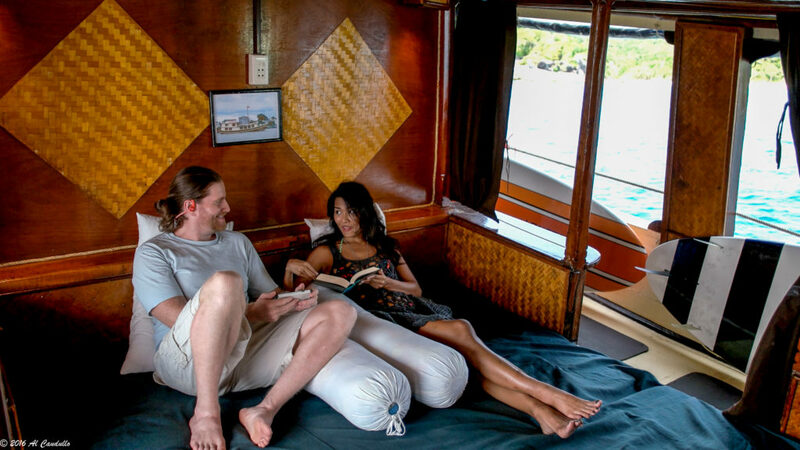 Aboard the Sea Gipsy, you will have time to settle into your comfortable cabin. You will find it difficult to stay below deck for long, however. The sun-drenched deck will call to you. Here you will find the comfort and relaxation of a deck chair waiting. 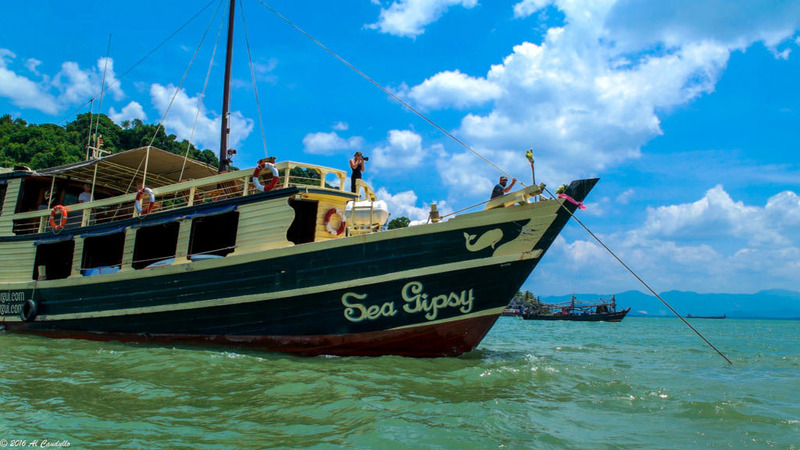 Enjoy the ride and refreshing sea breeze as the Sea Gipsy takes you to your first stop at Taung La Bo Island. 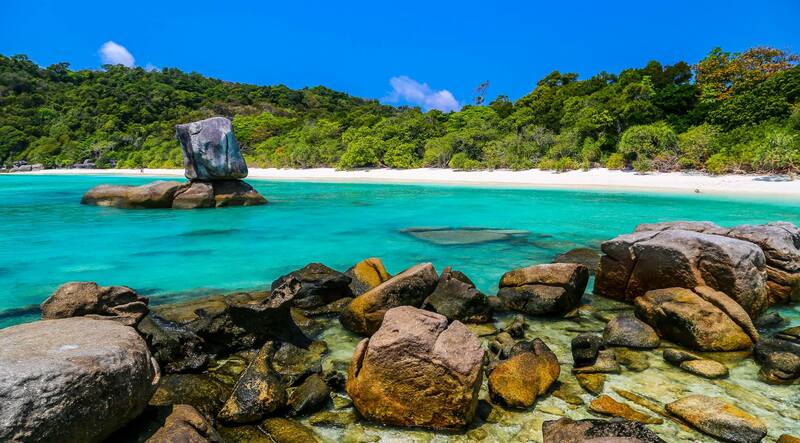 This quaint island is the perfect spot for your first dip into the Indian Ocean. Let the beautiful water envelope you as you slip into its pristine waves. 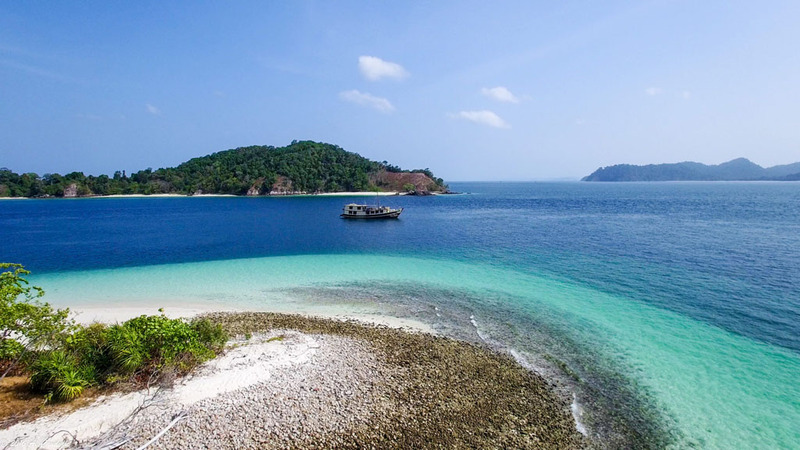 From Taung La Bo Island, the Sea Gipsy will take you to stunning Poni Island and then to beautiful and remote Island 115 where you will spend your first evening. Waking aboard the MV Sea Gipsy, the sights of Island 115 will surround you with more beauty than anything you could have dreamed. As the sun rises over glistening water and enchanting island vistas, your second day begins. 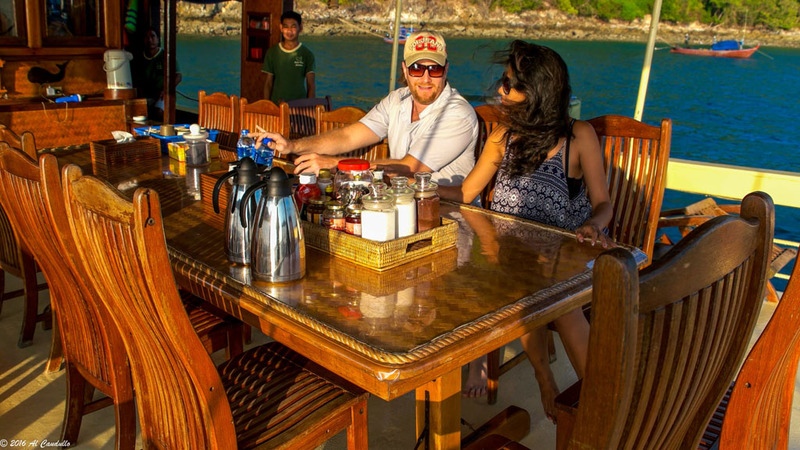 You will start your day by enjoying breakfast aboard the Sea Gipsy before setting off for Shark Island. Shark Island is named, not because there are any of these sharp-toothed fish lurking beneath the surface of the waters, but for the unique shape of the island. The emerald waters surrounding Shark Island will beckon to you and beauty awaits just below the surface. 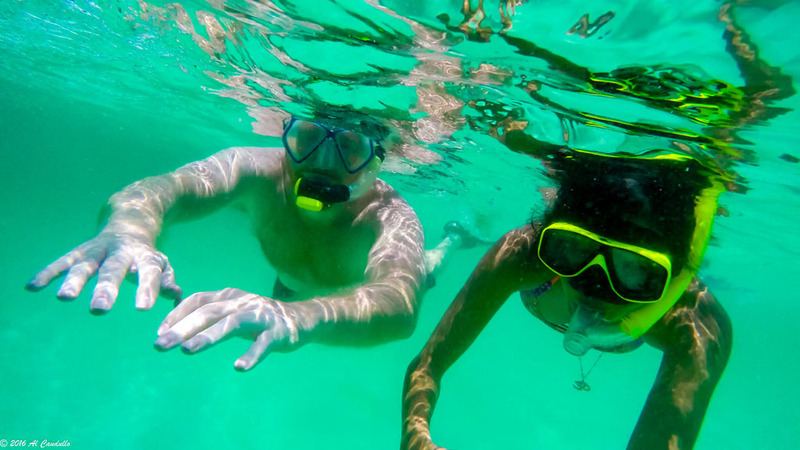 You will have the chance to enjoy swimming and snorkeling which will be followed by a delicious lunch. With lunch finished, your journey will continue to Lagoon Bay where you will be able to explore the mangrove forest from the seat of a sea kayak. Following your day of adventure, you will spend your second night in the peaceful port at Lagoon Bay. Day three begins at first light as the Sea Gipsy sets out for Moken Village, the home of the Sea Gypsies. In Moken Village you will be greeted by the smiling faces of the local Moken children. Next, we will set out with full hearts for Ba Wei Island which is a high, sheer and beautiful cliff. Here you will take to the water in a kayak and float past the huge rock gate. 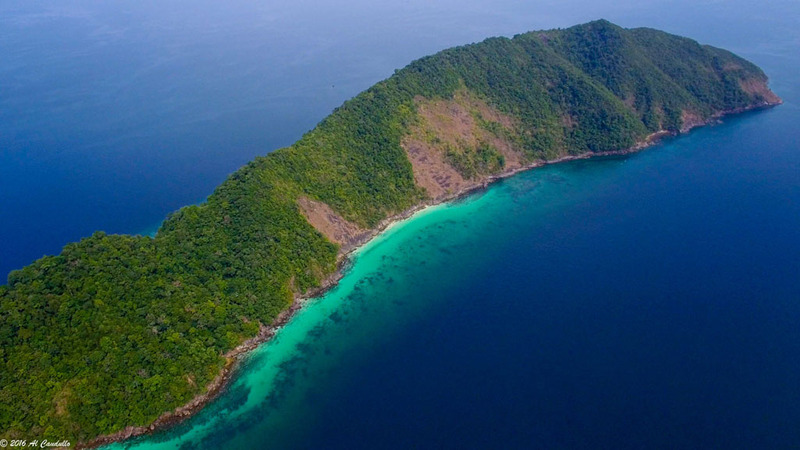 Ba Wei Island gives you another chance to enjoy the pristine waters of the Mergui Archipelago as you swim, snorkel kayak or paddle your way around on a Long tail SUP (Stand Up Paddling Board). 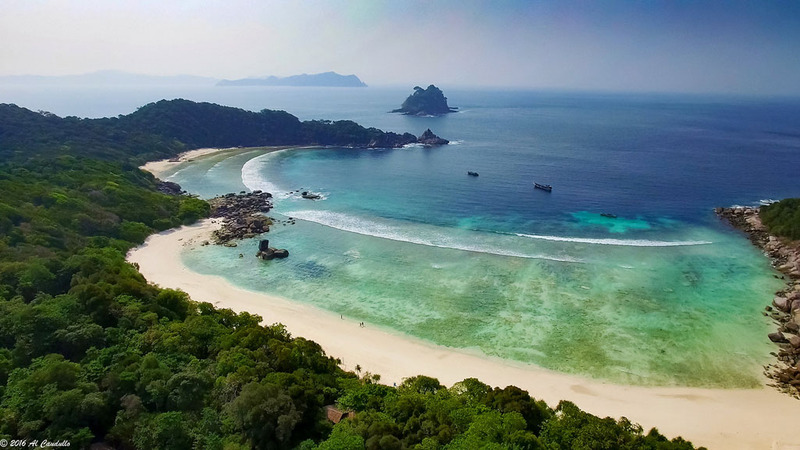 From Ba Wei Island, The Sea Gipsy will whisk you away to beautiful Boulder Island where the underwater wonders of the Boulder Bay Reef are waiting to reveal its secrets to you beneath the beautiful waves. If the tides are just right, you will also be able to explore the rugged beauty of Boulder Island’s many exciting hikes and treks. 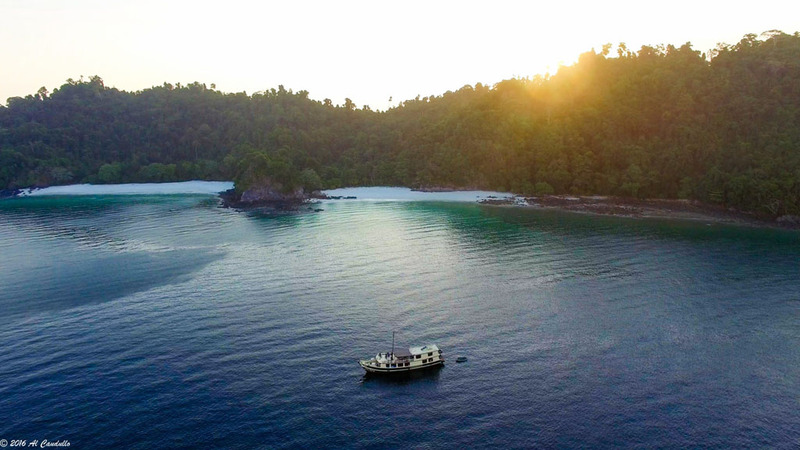 As you experience more of Boulder Bay, this special place will become the crowning jewel of your trip into the Mergui Archipelago and a moment in your life which you will look back on fondly. On Day 4, you can, again slip into the beautiful waters of the Indian Ocean and swim, kayak or snorkel. You will also be able to explore the uncharted and untamed jungles of Boulder Island. Trekking across the island, you will be treated to five stunning beaches where you can snorkel or kayak in the water along Boulder Island’s shore. Put your hiking shoes on and head out on some remarkable hikes, including a trek to Eagle Rock, the island’s highest elevation. From Eagle Rock, the view of Boulder Bay is breathtaking and wondrous. 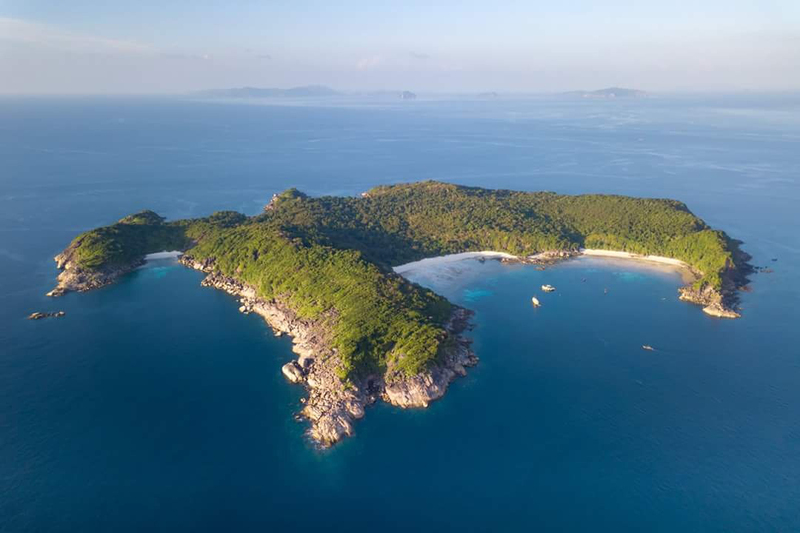 The remainder of your fourth day will be spent with a quick stop at Myauk Ni Island for a refreshing swim before the Sea Gipsy takes you to Thu Yee Island at the Barwell Channel where you will enjoy a delicious dinner as you watch the sunset. 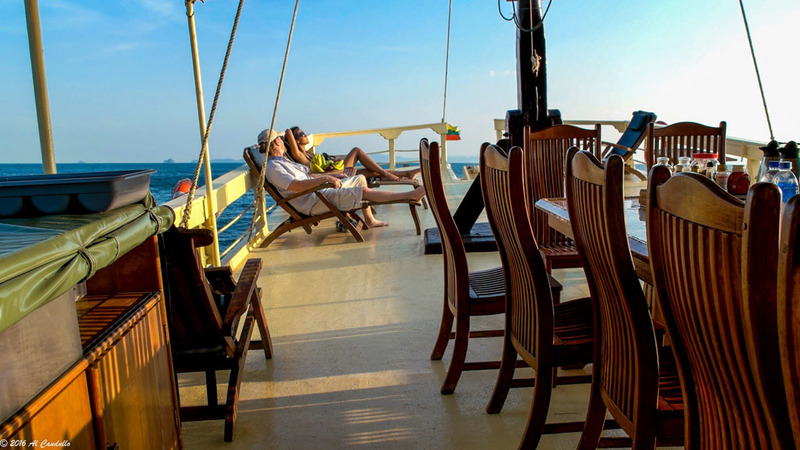 This will be the setting for your final evening aboard the Sea Gipsy. The final day of your journey sees you heading back to Kawthaung. The Sea Gipsy will deposit you back on land at 9:00AM, in time for you to catch an early morning plane. 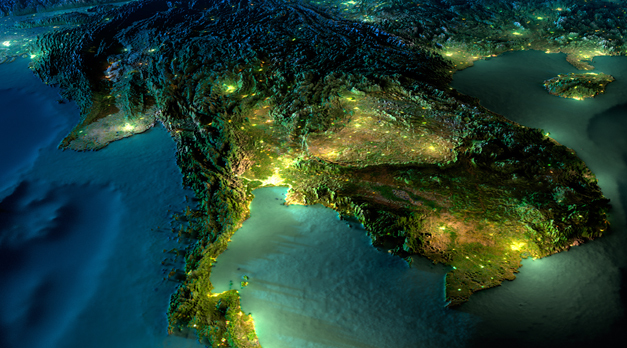 Here, our staff will assist you with customs, immigration and making travel arrangements for you journey home.